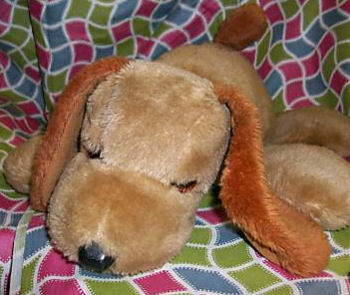 We have a mailing list of people looking for this talking Napper dog. My son Bobby had a Napper “rub rub rub my tummy” who was also known as “Brown Dog”. He adored it until his step father tossed it in the garbage when he was 5. Bobby was heartbroken for the longest time. I want to get a replacement for his 31st birthday. If you can help I would be forever grateful. Please let me know if you find one or have one available. Let me know if one comes up. has anyone had anything to help with the napper dog? i had one too and was just curious the results of the hunt. thank you. I’m sorry, but we have not had luck with this one.